District eye care coordinator Rachel meets a patient after surgery. 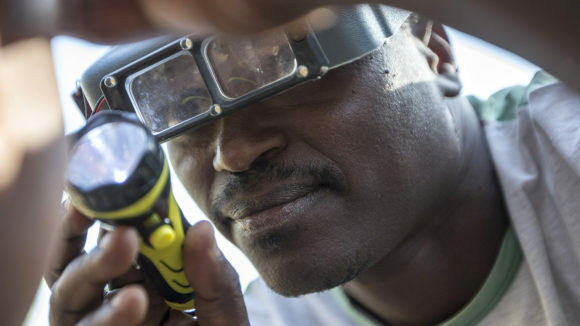 Trachoma experts gathered in Tanzania this week to celebrate the significant progress that has been made to eliminate the disease from the country over the past four years. Tanzania Minister of Health Ummy Mwalimu and members of the Ministry’s trachoma elimination team met Sightsavers, the Queen Elizabeth Diamond Jubilee Trust, DFID representatives and implementing partners in Bahi District and Dodoma. The group attended a village surgery camp where people with trichiasis, the most severe form of trachoma, were receiving sight-saving surgery. They discussed the achievements of two key trachoma programmes that are helping to control the disease in the area. 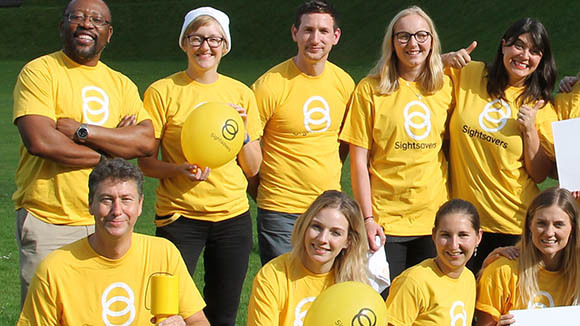 The programmes – the UK Aid-funded DFID SAFE programme and the Queen Elizabeth Diamond Jubilee Trust’s Trachoma Initiative – have been working alongside the Tanzanian government to eliminate blinding trachoma since 2014 and 2015 respectively. 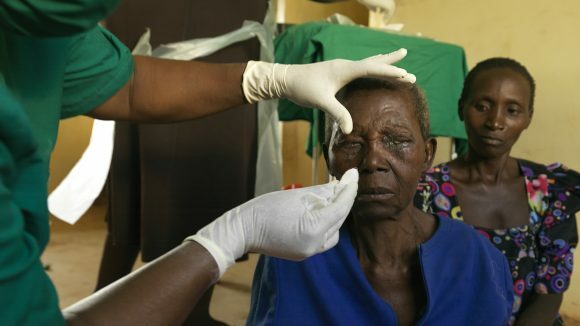 Both programmes are coordinated by Sightsavers on behalf of the International Coalition for Trachoma Control. Trained and worked alongside 500 ward and community-level leaders and more than 200 hygiene counsellors in more than 80 villages to raise awareness about the importance of facial cleanliness and sanitation to prevent trachoma. District NTD coordinator Kasian examines trichiasis patient Sharifa. Images © Robert Beechey/Queen Elizabeth Diamond Jubilee Trust. 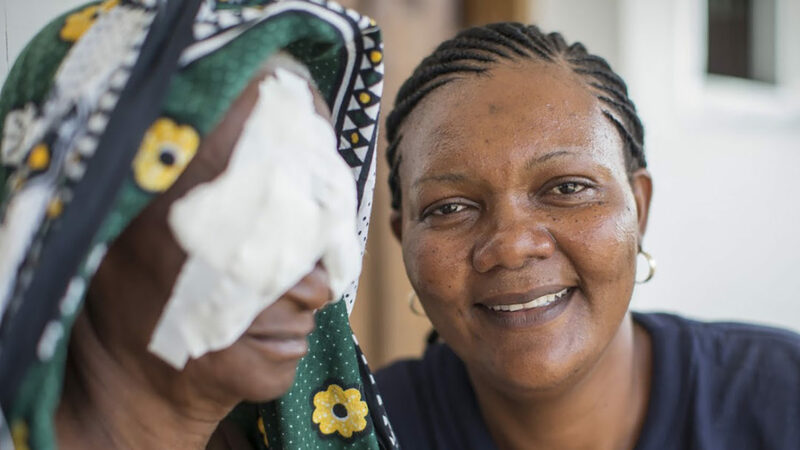 In 2014, more than 4 million people in Tanzania were at risk of losing their sight as a result of trachoma. It was then that the DFID SAFE programme began working in the regions of Manyara, Arusha, Pwani, Lindi, Mtwara and Dodoma. 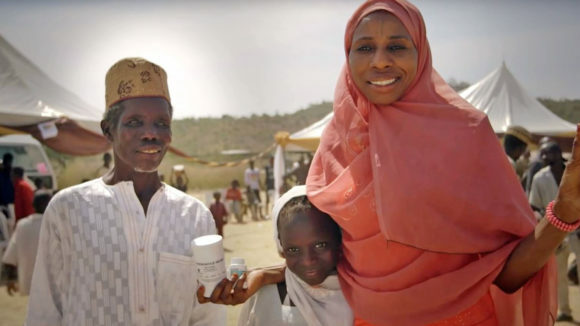 A year later, the Trust’s Trachoma Initiative set out to expand the fight against trachoma in Tanzania. Implemented by Helen Keller International, the programme works alongside the Tanzanian government and DFID to eliminate the disease in Arusha, Dodoma and Lindi. 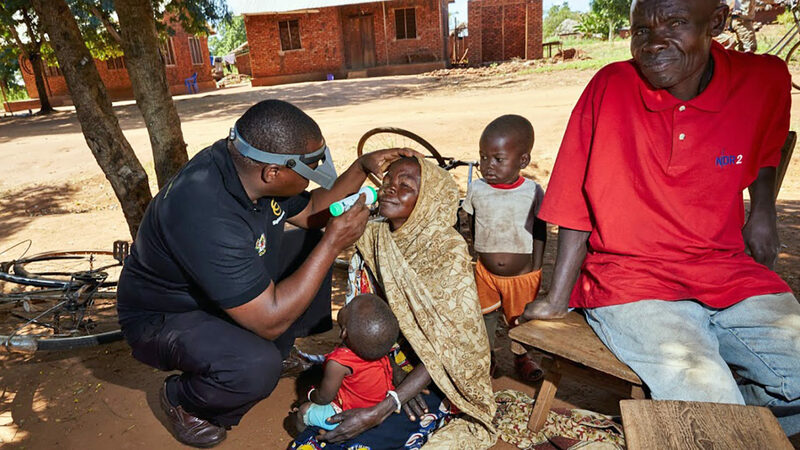 In Africa, the Trust’s Trachoma Initiative is also supporting governments in Kenya, Malawi, Mozambique, Nigeria, Uganda and Zambia as they work towards eliminating trachoma, while DFID SAFE also works on trachoma elimination in Chad, Ethiopia, Nigeria, and Zambia. Environmental improvements to prevent transmission from person to person and to keep the disease at bay. The Trachoma Initiative and DFID SAFE work in close collaboration with other large-scale trachoma elimination programmes, supported by members of the World Health Organization’s Alliance for Global Elimination of Trachoma by the year 2020 (GET2020) and others such as USAID, the END Fund, RTI International, The Carter Center, World Vision and the Conrad N Hilton Foundation. The disease spreads through contact with infected flies and via hands, clothes or bedding.